How do you plan to grow your business this year? 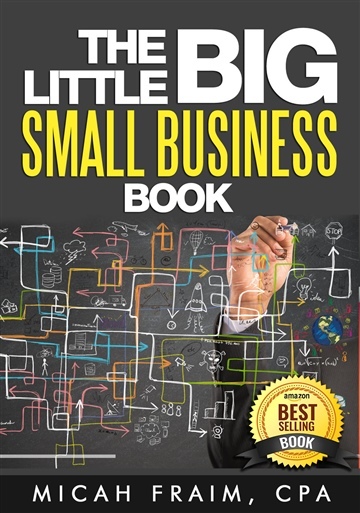 Inside of The Little BIG Small Business Book, you’ll discover 17 money making (or saving) lessons that will leave you with more customers, sales, and money in your pocket come tax season. CPA Micah Fraim offers a unique and truly rare perspective on succeeding and growing your small business while maximizing financial savings and gains using tax tactics and tips.